If you follow me on social media, you know I’ve been getting some happy mail lately. Nothing makes this gal happier than getting fabric delivered to my front door! And if it’s my own design, even better. 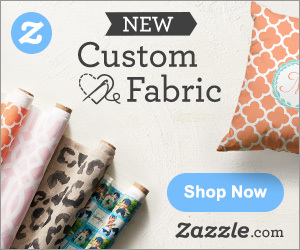 So imagine my excitement when I discovered that my beloved Zazzle is now offering custom printed fabric! I had to get on that, and fast. I normally print my designs with another vendor, but I have always been happy with Zazzle’s products, and wanted to check out the fabric for myself. 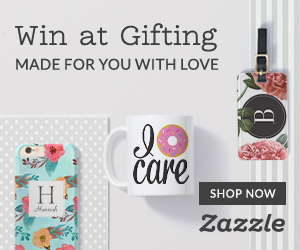 PLUS – Zazzle always has THE BEST sales! I’ve been feeling the corals and grays lately, so I came up with this collection of designs and ordered some swatches and a couple of yards to test them out. I also worked on something special in blue that I’ll be sharing with you later. New Blue Squared Design – I have big plans for it! The quality of the fabric I ordered is great, and they all came individually wrapped with labels on the packaging indicating the type of fabric and how it should be treated. So lovely! And how beautiful are these swatches all serged up and everything?! The linen is especially impressive..
Lovely Linen – Look at that texture! I couldn’t wait to dive in so I already made a pillow using the twill! Pretty Pillow made with my new Zazzle Custom Designed Fabric! I will totally be posting the tutorial for this envelope pillow cover shortly, so stay tuned! And as I mentioned, I have something special planned for the mysterious fabric in blue, which btw I have pre-washed and I haven’t noticed any fading – it still looks beautiful! I made the pillow using the cotton twill, and plan to make some bags out of it as well! So, DO go check out the fabric on Zazzle – – there are loads of beautiful prints to choose from, or you can design your own (so fun!). Also, if you like my prints, you can find them here in my Zazzle Shop. 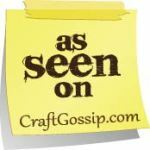 They can be ordered in any of the fabric options that Zazzle offers! *I am a Zazzle Affiliate – Items purchased via these links will result in this Mama earning a wee bit of commission, and thus help me to keep on keepin’ on as a SAHM. But I wouldn’t post about it if I didn’t stand by it 100%! This entry was posted in Craft & Decor Love, Design Love, Everything, Fabric Love, Stickelberry Design and tagged coral, cotton, craft, crafty, custom, decor, design, fabric, gray, home, linen, online, pillow, polyester, poplin, printed, sew, sewing, shop, shopping, stickelberry, tutorial, zazzle on March 10, 2015 by Danielle Stickel.